If you are running Windows XP and want your system to look more like Windows 7, then this guide is for you. 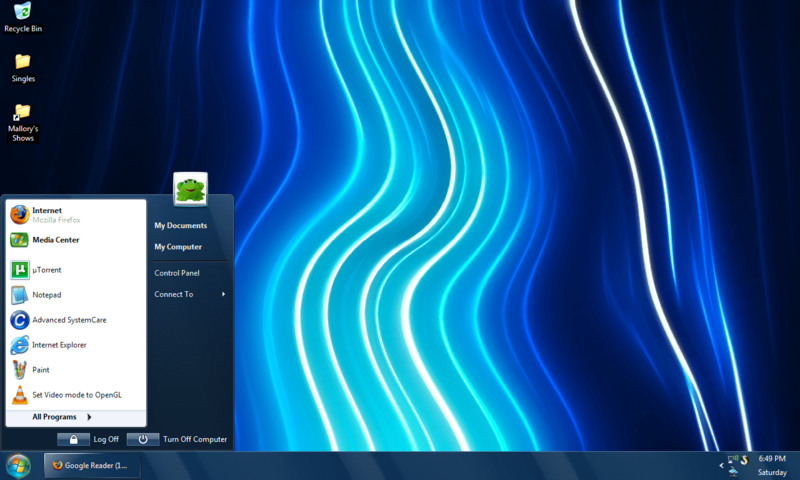 Vishal Gupta, Microsoft MVP at askvg.com has made a simple installer to change Windows XP, visually, into Windows 7. His instructions are clear and simple, so head on over and learn how to make Windows XP look like Windows 7. Below is a screenshot of my XP desktop with the first stage of the transformation. I think it looks really good and you can have this effect too. PS: Just noticed the MVP logo. Congratulations mate, you really deserve it. When it runs do it use a lot of memory? Can you turn off some of the elements? I only want to have transparent windows. Well maybe I’ll have a look at that dudes page to learn more and try out this software. It looks cool so it must be a bit cool.